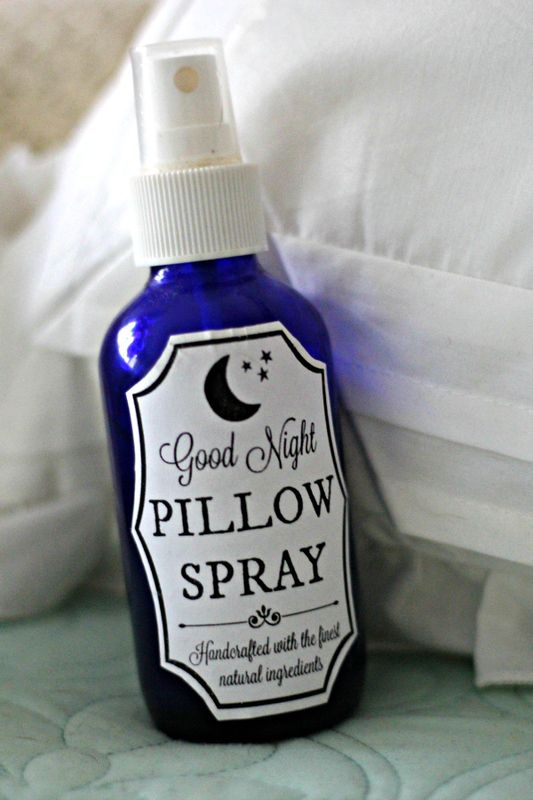 DIY Pillow Spray recipe that helps you get a good night sleep! It’s safe & works well to get kids to sleep, too. 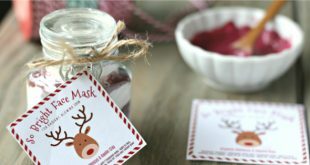 Free printable labels for your bottle! Today I’m sharing an easy DIY Pillow Spray recipe that helps with relaxation and sleep. If you have trouble falling asleep, this is an easy homemade recipe you’ll want to try! And let me just say – wow! – it’s totally come in handy these last few weeks during my pregnancy! I normally have no troubles with sleep, but now that I’m well into my 3rd trimester and the baby is right where he or she is supposed to be and putting additional pressure on my bladder, I’ve been having to get up to pee a few times a night. And I was really struggling to get back to sleep in between all the bathroom breaks! But not since I’ve been using this pillow spray…woohoo! In fact, it’s worked so well for me that I wanted to share the recipe in hopes that it will work just as well for you, too! This pillow spray is wonderful for kids, too. My sister has been using it for a few years and she says it’s a lifesaver for her kids 🙂 And another cool bonus I’ve noticed since using it…it seems to be working amazingly well at calming and relaxing my dog, too! I also want to tell you about a few essential oils and blends that I’ve personally used that would work exceptionally well for this DIY Pillow Spray recipe. I personally love and use Plant Therapy essential oils because of their quality standards, testing and affordable price points so you’ll see that my recommendations are all from Plant Therapy. But if you have a favorite company you are loyal to, just substitute your favorite essential oils for this pillow spray recipe. 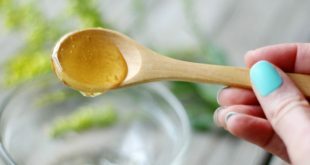 Many reputable essential oil companies now carry wonderful sleep blends, too, and they would work just great for this recipe! Lavender essential oil is my favorite! It’s probably the most well known for its calming, stress relieving and relaxation properties. That’s why it’s so effective at helping you get to sleep! It’s also a nervous tension reliever. I use THIS one. The Sleep Aid Blend from Plant Therapy contains lavender, mandarin, ylang ylang, valerian and neroli essential oils and what a great combo that is! This is the blend my husband prefers for his Pillow Spray. He says he’s definitely noticed that he falls asleep faster and sleeps deeper since using it. And that’s because the oils in this blend were formulated to help you do exactly that – fall asleep faster, stay asleep longer and improve the depth and quality of your sleep! You can find Sleep Aid Blend HERE. The Tranquil Blend is amazing if you have a hard time falling asleep because your mind is racing with worry or anxiety. It contains pink grapefruit, blood orange, ylang ylang, bergamot and patchouli. Those oils specifically help relax your mind and help you maintain a sense of calm, peace and relaxation so you can get to sleep. Plus, it smells so divine! You can find the Tranquil Blend HERE. The Nighty Night essential oil blend is hands down the most popular blend among my circle of mom friends to get kids to fall asleep and stay asleep. They swear by it. It’s specially formulated for kids age 2-10 and contains lavender, marjoram, mandarin, cedarwood atlantic, patchouli, clary sage, chamomile roman and blue tansy. If you have trouble getting your child to fall asleep and stay asleep, this is definitely the one I’d recommend for this pillow spray recipe! Find Nighty Night Blend HERE. The Calming the Child Blend is such a wonderful calming blend formulated for children ages 2-10. Although adults can use it, too – I do! This blend contains mandarin, tangerine, lavender and chamomile roman, all of which promote a deep sense of calm and relaxation. I just adore the smell of this blend and I must say, I do feel a lot more calm when I use it. Find Calming the Child Blend HERE. I’ve found that all of the essential oils above work beautifully for sleep and they all smell delightful…it’s hard to pick a favorite! But if I had to pick and recommend just one, I’d choose lavender. It’s such a soothing and relaxing scent and I just adore it. Plus you can use lavender essential oil for so many different things (see some other ways you can use lavender essential oil HERE). My husband likes the Sleep Aid Blend the best. And the Nighty Night blend seems to work like a charm for kids. So I don’t think you can go wrong with any of the above recommendations! 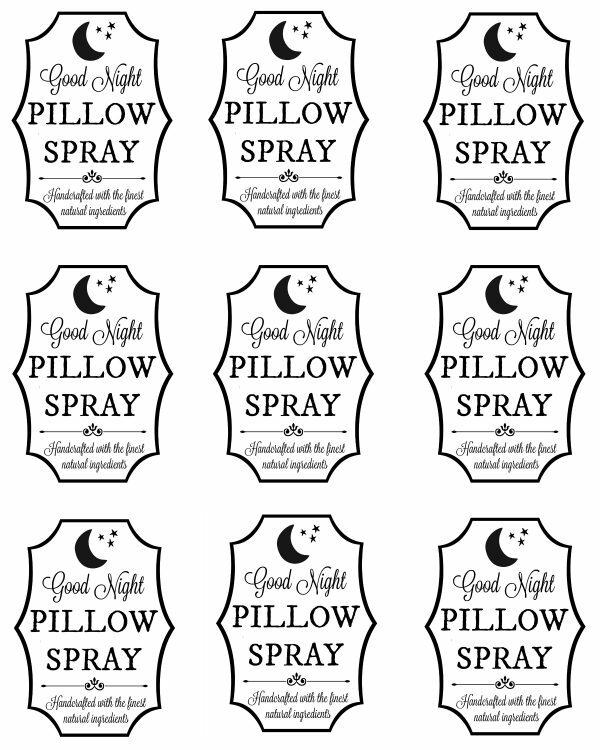 I’m a sucker for cute labels and I thought you would enjoy them, too so I created Printable Pillow Spray Labels for you! 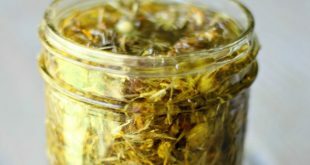 I think this DIY Pillow Spray would make such a thoughtful homemade gift to give to mom to be’s, moms with kids or anyone you know who has trouble sleeping…plus it’s so easy and inexpensive and it really works and helps with sleep! These labels work best for a 4 ounce or larger bottle (I use THESE). If you have smaller bottles, print them out at about 50 or 60% for them to fit. I use plain label paper and then cut them out with scissors. Easy DIY Pillow Spray to help you get a good night sleep! Great for kids, too! This recipe is approved safe by a certified aromatherapist. Use kid-safe recommended blends for kids ages 2+. 50 drops lavender essential oil OR one of these sleep blends: Sleep Aid Blend, Tranquil Blend, Nighty Night Blend, Calming the Child Blend *read the benefits of suggested essential oils in the above blog post to find the one best suited for you! Fill your bottle halfway with vodka (2 ounces if using a 4 ounce bottle). Add your essential oil drops of choice and shake. Fill the rest of the bottle with water and shake again. Let sit for at least 2 hours. Great DIY. Thanks for sharing. Can’t wait to try this out! Thanks for sharing.